eCycle Solutions of Ohio - Recycling of Electronic and Computer Related Equipment and More! 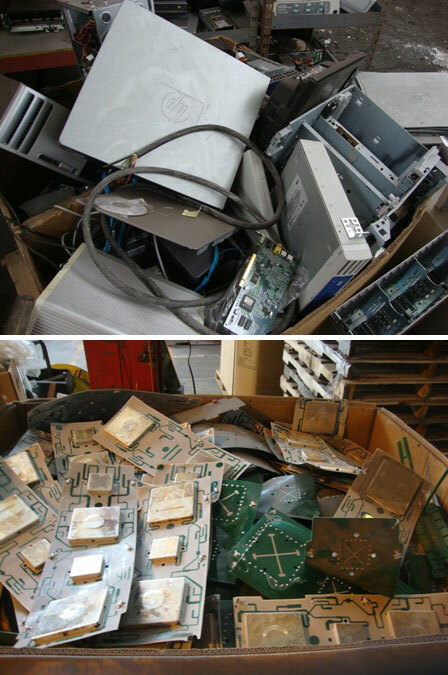 Ecycle Solutions of Ohio offers recycling services for electronic, e-waste and computer recycling. Examples are, but not limited to, Computers, Printers, Scanners, Modems, Routers, Cell Phones, CRs, DVD Players, Game Consoles, Stereo/Audio Equipment, Copiers, Fax Machines, Medical Equipment, Lead Acid Batteries, Lithium Ion Batteries, Nickel Metal Hydride, Nickel Cadmium, (this does not include Alkaline batteries), LCD/Plasma Screens, CRT Monitors, Televisions and much more! 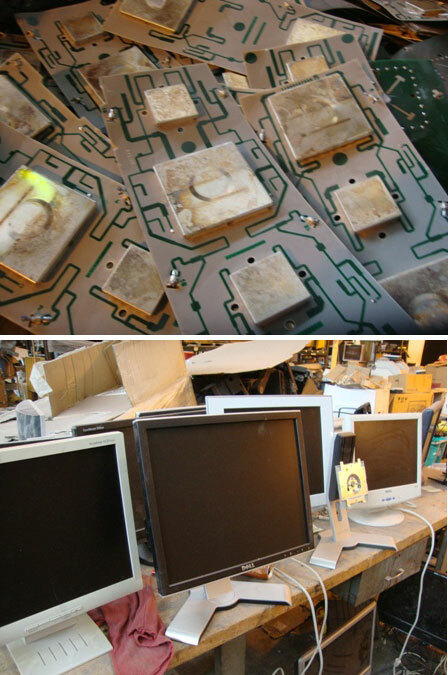 After each computer or electronic device is disassembled for recycling, we make sure we remove all heavy metals and inspect each board for hazardous components such as batteries, mercury relays, etc. and recycle them safely and properly. In order to make sure all private data is destroyed, all hard drives are removed and destroyed! We can also provide a "Guarantee of Destruction" certificate. ABS/PC plastics are other materials that we recycle. It is our commitment to help develop recycling avenues to handle everything our customers have. We do our best to prevent anything from being dumped into the landfills of America and to be the one stop for all your recyclables. Cardboard is another material that we recycle. 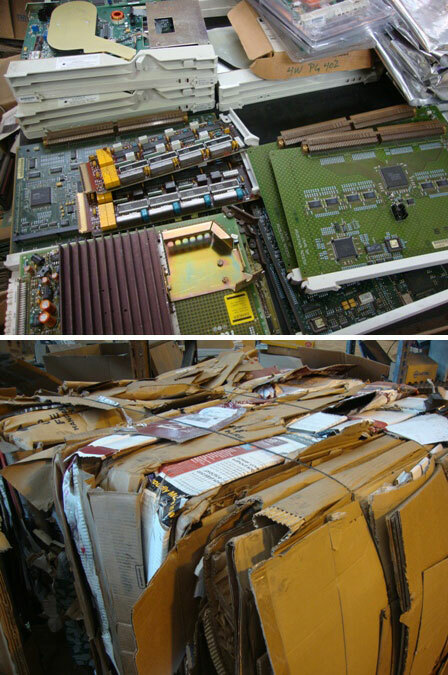 Although we do not actively go after cardboard, it is our commitment to help recycle everything our customers have. We do our best to prevent anything from going to the landfills of America and to be the one stop for all your recyclables. 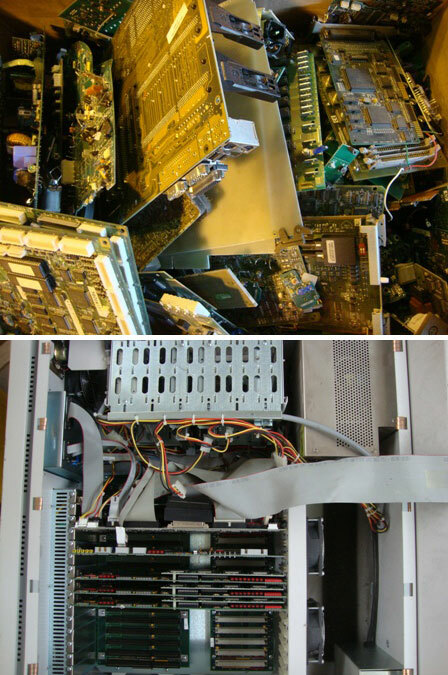 Ecycle Solutions of Ohio offer a site clean up of that old closet, room, garage or even warehouse that houses your old and obsolete computers, printers and electronics. Call us or visit us and talk over the different options available. You have it, we want it! Call us for a pick up of your recyclables. © eCycle Solutions of Ohio, LLC. All rights reserved.